Free from dyes, parabens, phthalates, sulphates, alcohol, and soap. Mild and gentle newborn care. Suitable for use from day 1. When a baby is born, their skin is at its most delicate. That’s why we perfected our formulas over 125 years so they’re now even more gentle for all. 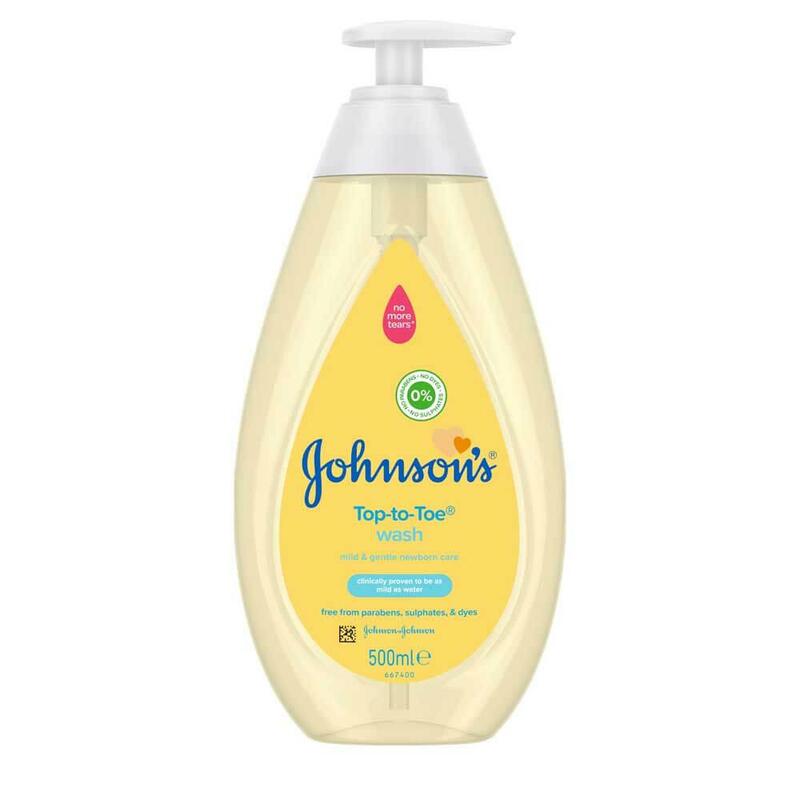 Our JOHNSON'S® TOP-TO-TOE® Wash is clinically proven to be as mild as water and is specially designed to gently cleanse baby’s delicate skin. 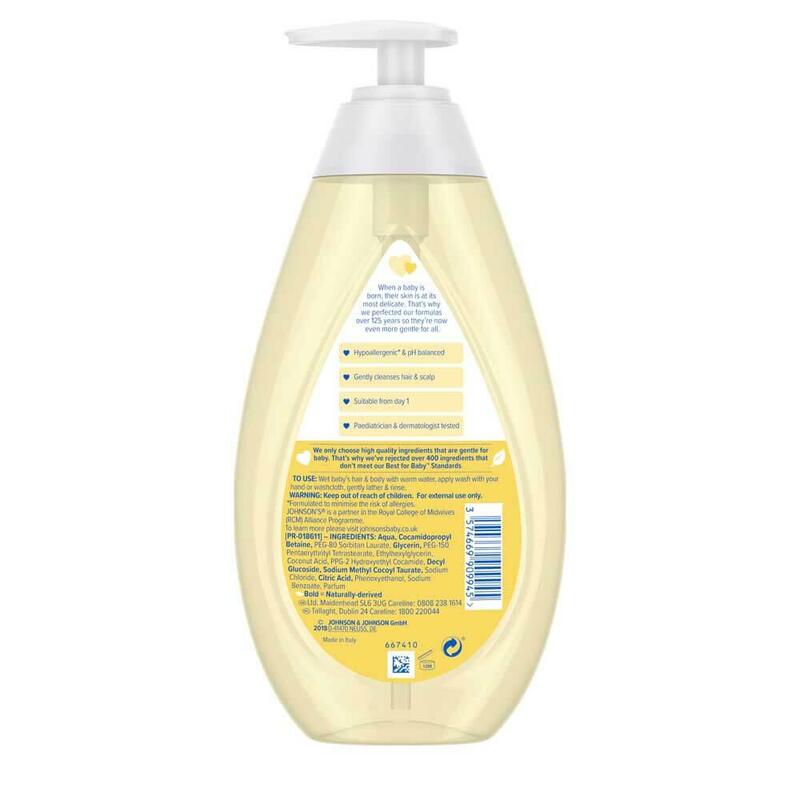 It lathers quickly and rinses easily, leaving your baby’s skin clean and feeling healthy. Great for kids and adults too! * formulated to minimise the risk of allergies. Wet baby’s hair and body with warm water, apply wash with your hand or washcloth, gently lather and rinse. Follow with JOHNSON'S® TOP-TO-TOE® Moisturising Baby Cream to lock in moisture. Sorry but the new bottle for the top to toe wash is awful. When you press the plunger down it takes an age to come back up and hardly any comes out in the first place. Not what you want in a rush in a morning. If I can find any of the old model I will buy those but otherwise, sorry, I'm switching brands after using this for many years. (We use this as the family's shower gel despite our kids long since having passed the "baby" age).